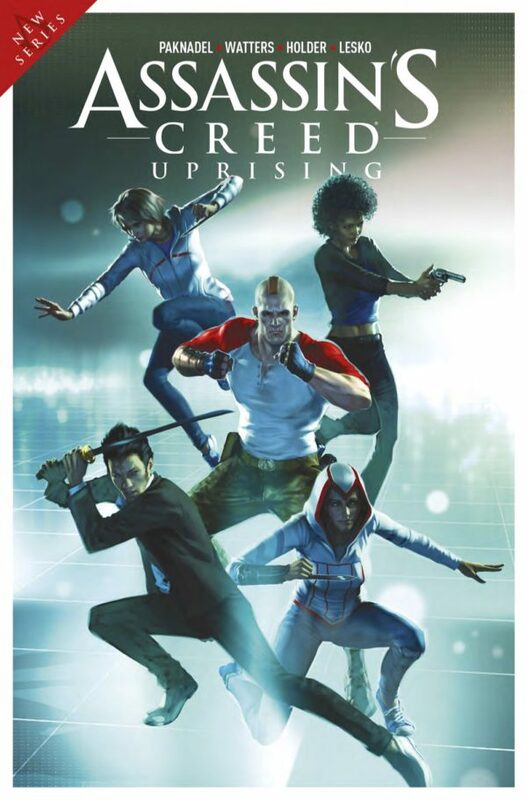 Titan Comics has brought back to life the Assassin’s Creed series with Uprising. It’s new story of the Brotherhood facing off with the Templars. The issue gets going right away by dropping of our main protagonists out 30 floors from a building. This leads to a chase sequence and to a face off situation. The thing seems forced, but designed to introduce us to this new world. The remainder of the book introduces the other group of Brotherhood Assassins that will drive the story. The most interesting thing about the book is the Black Cross character. The guy isn’t Brotherhood or Templars, but someone trying to discover the truth to the whole matter. Hopefully we get more back story as the other issues are launched. The story and art are solid, but it would help if you had insight into the Assassin’s Creed world since it otherwise won’t give you much to start with.